used to descriptive sources in general unknown to the general public and faculties, and has been suppressed in the past, able to produce energy from the environment and free of cost. 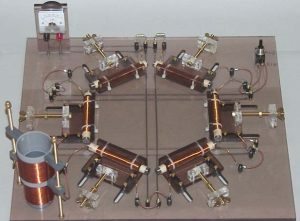 There are several sources producing alternative FREE energy technologies known for nearly a century. Alternative sources are energy technology currently perceived to be environmental energy derived from solar, wind, geothermal and wave power. These suppressed, neglected and misunderstood FREE energy principles have all been cleaner, cheaper and most importantly, in most cases have had the capacity to decentralize the energy grid and produce a self-contained home power system. These technologies have long had the capacity to produce energy for the public but would have affected the current producers of energy, operators of the grid and suppliers of hardware negatively. Any commercial company doing business will resist changes which will lead to a decrease in profits and worse threaten their existence. Another part of the story of the involvement of scientists and politicians in an attempt to suppress new idée’s in this direction. Greer claims to have found several hundred whistle-blowers in the military, the scientific and corporate community who can deliver documents, physical proof, and testimonies of the deliberate suppression of advanced technological information. The military and intelligence are preventing public access to technologies that can definitely replace conventional oil, coal, and nuclear energy sources. applied they can shape a totally non-polluting civilization and save our planet Earth. Science; The physical nature and dimensional of charge is neither understood nor established in existing physics. In part, this is due to the opaque relationship between mass and charge, with the former being attributed to the charge-carrier and the latter often treated as a property distinct or separable from the rest energy of the carrier. Energy can manifest itself in various dimensionalities as a charge in the ESU, EMU, CGS and SI systems, and contrast this with the correct dimensionality of charge, and its expression in the meter-second system. (2) that electric charge in mass-bound particles is a special variant of linear momentum which is constitutive of their rest energy. Important to realize the distinct algebraic fine-structures of mass-bound and mass-free charge. There is no one to blame for things you do not know or understand, the trouble arises when you do not know but claim you do no and reject all findings and anomalies as result of the faulty model, worse claim that the other is nuts and a lunatic. To the reader it will be clear that many new explanations and theorems will be proposed. 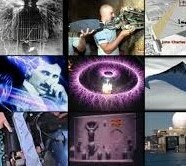 Going back to a pioneer in free energy Dr. Nikola Tesla. 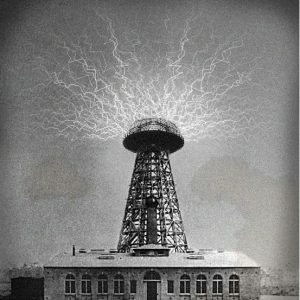 He tried to hand to humanity and the world free energy, Tesla developed components of technology whereby that could be accomplished. Tesla was a physicist, inventor, and electrical engineer of unusual intellectual brilliance and practical achievement. A Serb descent and but most of his work was conducted in the United States. Tesla’s investors dropped the project when they realized there was no way to meter the power to make money on the end user. Now one hundred years later We are trying to catch up and are still far behind compared where he was with his understanding of radiant energy. by faculties who at present continue to class them as “crackpot” science instead of higher efficient principles or new discoveries. The simple reason- Faculties or academics have long thought that these “type of devices” were “creating energy out of nothing”. They did not understand that we live in a world full of energy, everything is energy and an open system. This field could be the substrate or energy source of all the devices mentioned here, however, there are other new discoveries involved. Higher efficient principles, new ways to utilize magnetic fields and chemical reactions. All these new discoveries have made up the suppressed FREE energy genre. This science needs an independent institution, to ensure the public get independent validation. Friedrich Paneth and Kurt Peters hypothesized a form of nuclear reaction that doesn’t produce radiation, they were silenced and the science also. Now it has reemerged. The pyramid as energy unit?